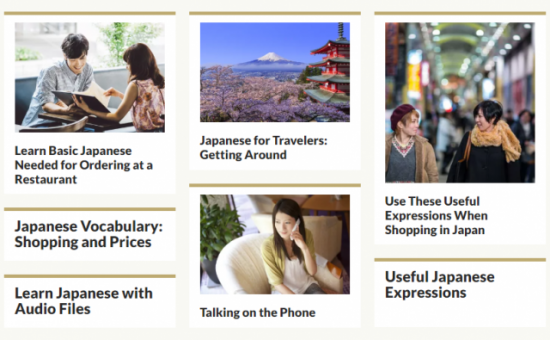 The basics of Japanese are carefully explained here, making it a very useful site for people who are thinking about starting to learn Japanese, or for Japanese learners who have just begun their studies. 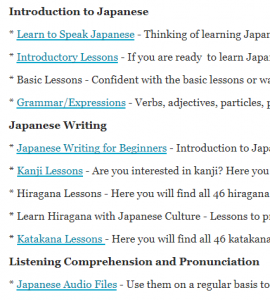 Hiragana, katakana, pronunciation, kanji, grammar, greetings, useful phrases and so on are explained in detail. 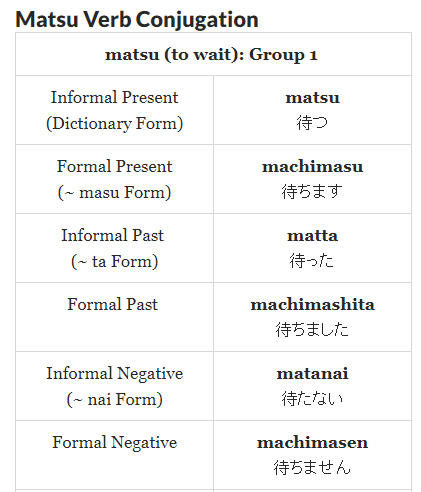 As audio is included, even people with absolutely no knowledge of the Japanese language can understand. 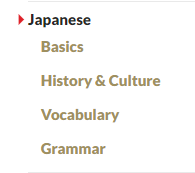 There are a number of articles about annual events, manners, things such as the educational system and sports, general conditions in Japan and Japanese culture. Articles with abundant content are divided into 4 categories. 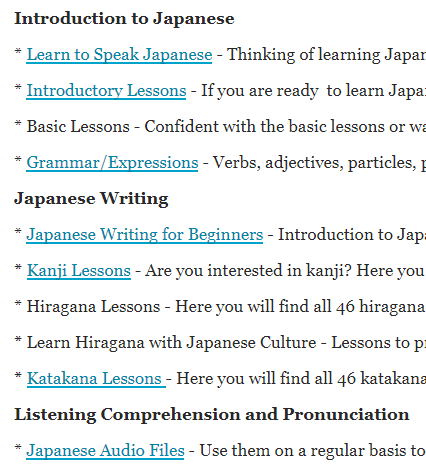 We think "Japanese Lessons" is a great place to start for any learners just beginning their Japanese language studies. 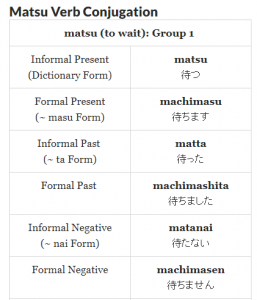 Grammar is aiso explained in simple terms. Click here. 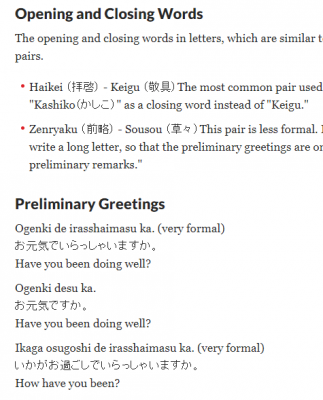 There is also article that you can learn about commonly used phrases when writing letters. 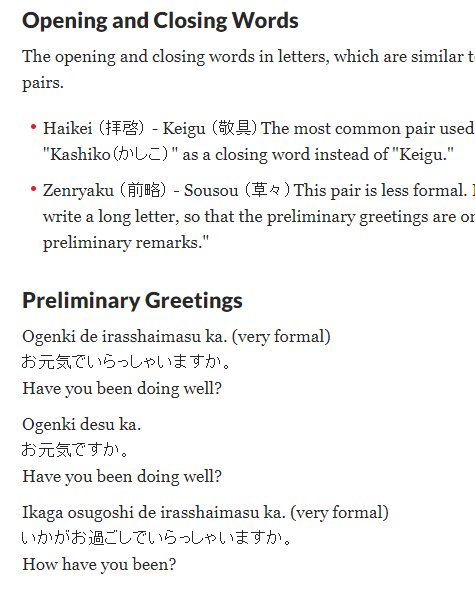 The articles related to Japanese culture, manners and customs are also really interesting! In addition, there are many articles with practical and easy-to-learn phrases and keywords. This site is also introduced in an "e! Kore" article called Start learning Japanese from zero. If you're interested, please stop by to take a look! 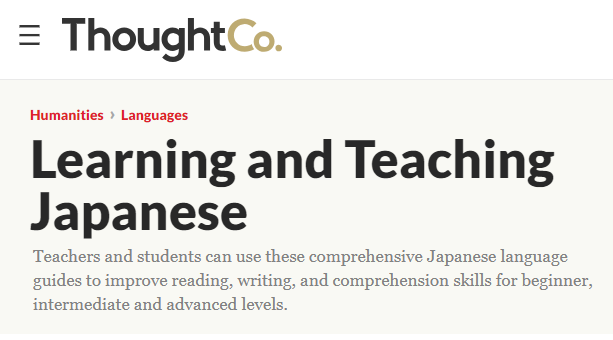 These contents are one part of ThoughtCo.